A story that provides an inspiring and motivating message to all — a book whose message is never forgotten. Imagine a world where children don’t believe their bad thoughts about themselves anymore! 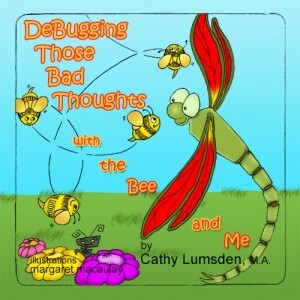 Debugging Those Bad Thoughts, guides both children and adults to manage the “bully” mind we all experience. Consequently, a world where children are resilient, creative, strong and humane evolves. For example, pin the tail on Blackatron is an enjoyable way to shrink the villian who wants kids to think bad thoughts. Was because she didn’t know. Plain and simple… we do what we know. We learn about romantic relationships not only from our mothers, but also from our fathers, relatives, teachers and society. 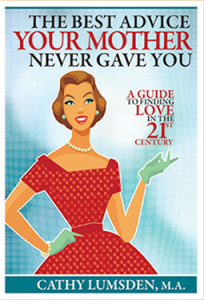 Now is the time to create the relationship you desire in the 21st centry. After more than 25 years of counselling over 100,000 clients, Cathy Lumsden offers new hope and advice for individuals seeking healthy relationships.